Happy Friday, color lovers! Is it too early to pour a glass of champagne? Because I have quite a few things to celebrate. Here's to hoping you do too! Let's toast! Ok? I want to know what you're celebrating this weekend! Tell me in the comments below! Oh, and as always, I have a few of my favorites to share and a couple of exciting announcements. First and foremost, I want to give a huge and happy welcome to our newest Vendor Guide Members! Tulle and Chantilly, Jana Royale Designs, and Miss Design Berry Inc.! And then I can't go without sharing a few of my faves from around the web! 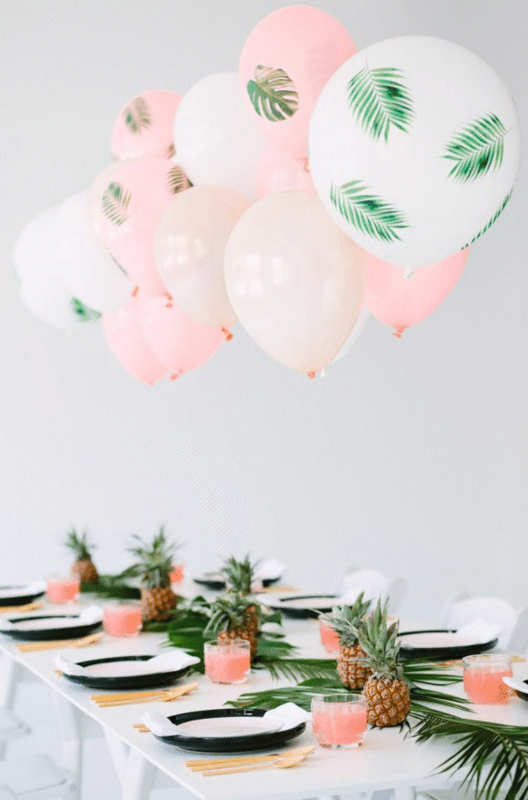 Obsessed with this Palm Leaf inspired party over on Studio DIY. Love this Creative Backdrop Tutorial over on Green Wedding Shoes! So in love with this Oh-So Elegant Vintage Wedding via Wedding Chicks. Want to know what is going on this weekend? Well, if you haven't heard yet there is a huge sale going on over at Nordstrom. Yep, you heard that correctly. The Nordstrom Anniversary Sale started today! Um, hello best. sale. ever! See my faves below. And be sure to check out their Wedding Shop here. The grey and blush dresses are so pretty! The blush is definitely my favorite! I love the floral print trend- so pretty!